Moving From React Native to Flutter — The latest in a line of stories about companies adopting other approaches after trying React Native. This time, an app with half a million users moves to Google’s Flutter. Mobbin: See The Latest Mobile Design Patterns — A growing collection of mobile app design patterns based upon the latest apps, approaches, and styles. Handy for inspiration. 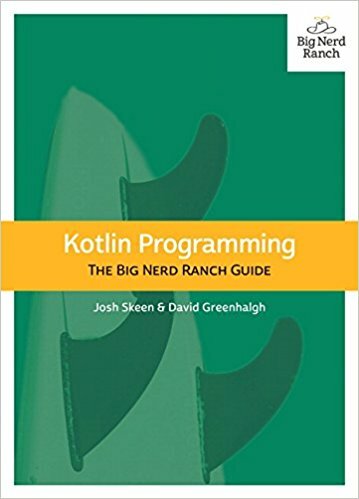 Kotlin Interoperability with Java: Free, Online Talk — Join author of Kotlin Programming: Big Nerd Ranch Guide as he shares practical guidance. We will be giving away copies of the new book. Limited Seats. Sign up today. Cross Platform Mobile Apps with .NET, C# and Uno — Uno is a new framework available for building native apps for mobile and web using XAML and C# across iOS, Android and UWP. 12 Best Mobile App UI Design Tutorials for Beginners in 2018 — The top 12 best mobile app UI design tutorials to help you get started designing for mobile in 2018. Describing Your Progressive Web App with a Web Manifest File — A look at the properties of the web app manifest and how to trigger the ‘add to home screen’. Out of Depth with Flutter — How reactive programming, widget composition, and UI-as-code might bury your view logic in deep nesting, and what you can do about it. Indexable PWAs: Making Progressive Web Apps Perform for Users and Search Engines — How do search engines crawl PWAs and how can you optimize your own for crawling and indexing? Building an Audio Player App with Ionic, Angular, RxJS, and NgRx — Uses Auth0 for the authentication. Getting Started With Firebase ML Kit for Android — How to add Firebase ML Kit to an Android Studio project and use some of its base APIs. Sharing Code Between Similar iOS Apps — Some tips on sharing code between similar iOS apps to make your work “well-organized, more effective and bug-free”. Bitrise: CI CD for Mobile Apps — Automate your mobile development stages with 180+ integrations. We support Android, iOS, React Native & more. A Real-Time Face Detection Library for Android — Can be plugged into any camera API and is built on top of ML Kit for Firebase.